Get the most engagement when sharing at events by using the right hashtags. Tag speakers and influencers to start and ongoing relationship with them. Utilize pictures and videos for maximum ROI, and be sure to tag people in them. SMX West and Pubcon South are around the corner — SEOs and Internet marketers everywhere are gearing up for these anticipated Internet marketing conferences. As SMX takes over San Jose March 11-13 and Pubcon descends on New Orleans March 18-20, stay connected by tuning into social media. Without fail, attendees and speakers take to Twitter, Facebook, Google+, YouTube and other social channels to share up-to-the-minute tips, questions, quotes, photos and videos. With the high output of social sharing, even if you're unable to attend a conference, you can experience event highlights in real time when you stay connected socially. At SMX, Pubcon and every in-person event you attend, use social media to enhance your in-person experience. Follow these guidelines to make your tweets, posts and shares be heard more loudly than ever and to cultivate long-term online relationships. When you're sharing about an event, you want to use relevant hashtags so the tweet or post reaches its intended audience. If you're posting anything about Pubcon, make sure to include #Pubcon. If you're posting about SMX, make sure to include #SMX. Most live events today designate an official hashtag that they announce or post on signage or literature. For further guidance on making sure you use the most popular hashtag, reference the tools and advice in SEO and SMM: Which Hashtags Should You Use? that's 19 characters! When tweeting about SMX, use the hashtag #SMX; that's what other SMX attendees are going to be searching for. If you use a hashtag (like #SMXWest) that people are rarely using and searching for, you're limiting that share's potential. Whenever you share, make sure you're using most popular and relevant hashtag. SMX also plans for each session to have a hashtag all its own. They're handily located on the at-a-glance SMX agenda. 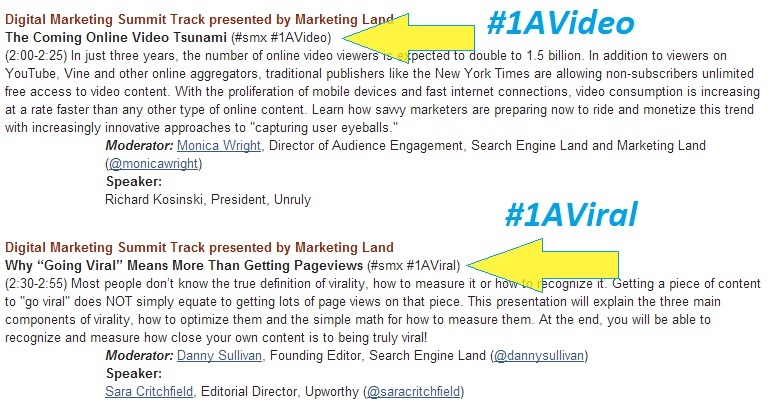 Wherever you're sharing, use @s and +s to tag relevant people, including speakers, influencers and attendees. Sharing a quote from Matt Cutts is great — sharing a quote from Cutts and properly tagging him is better. When you tag someone (on any social channel), it will show up in that person's notifications and they'll actually see it — which means there's a good chance they'll respond or reshare your post. If you give out your business card, include your social media URLs. If you get a name tag to wear at an in-person event, write your Twitter name or a social media handle along with your name. As you collect business cards from people you meet, if no social media name is included, ask them for theirs and write it on the back of the card so you can send them an online social note later — or better yet, while you're at the event. Nurture the seeds of an ongoing online friendship as soon as possible. Tweets with images have up to 200% more engagement that tweets without images, according to MediaBistro. Facebook posts with images earn 53% more likes and 103% more comments than posts without images, according to HubSpot. 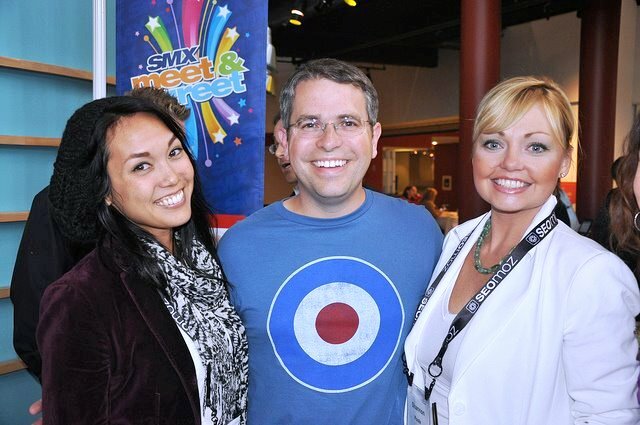 Virginia Nussey will liveblogging Pubcon South and Chelsea Adams will be joining her for SMX West. Their liveblogs will appear exclusively on the Bruce Clay, Inc. Blog. Find their day-to-day SMX schedule here. Tweets about "smx lang:en exclude:nativeretweets exclude:retweets"
For permission to reprint or reuse any materials, please contact us. To learn more about our authors, please visit the Bruce Clay Authors page. Copyright © 2014 Bruce Clay, Inc.